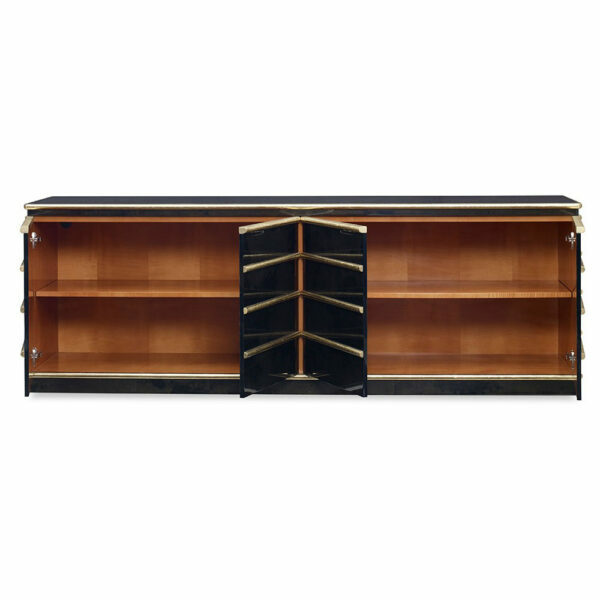 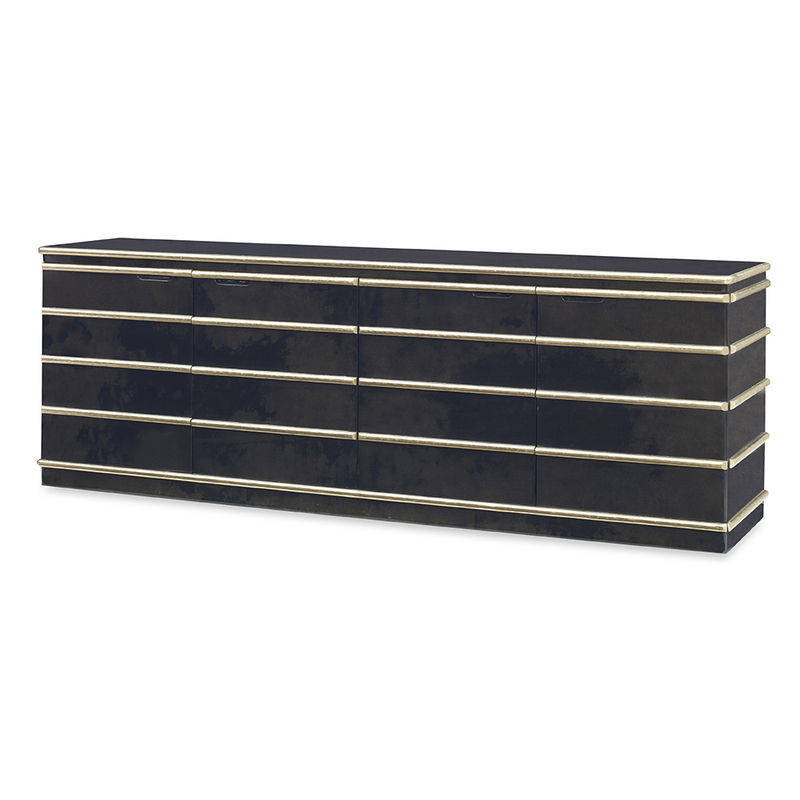 The Tio Long Cabinet is a stunningly beautiful and commands attention. Horizontal bands finished in polished brass contrast against our beautiful high-gloss lacquered bleached vellum finish. 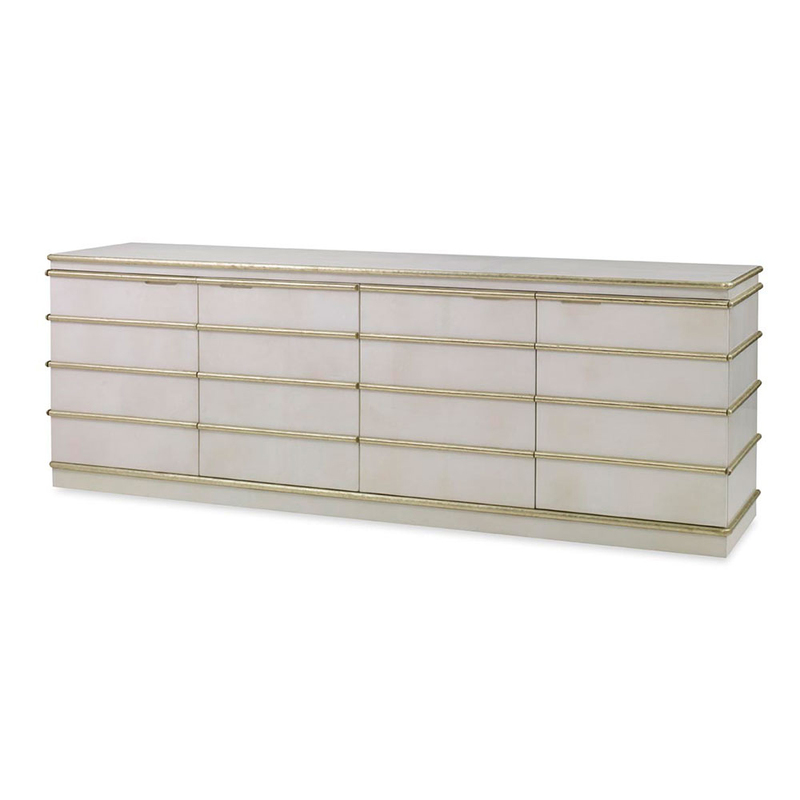 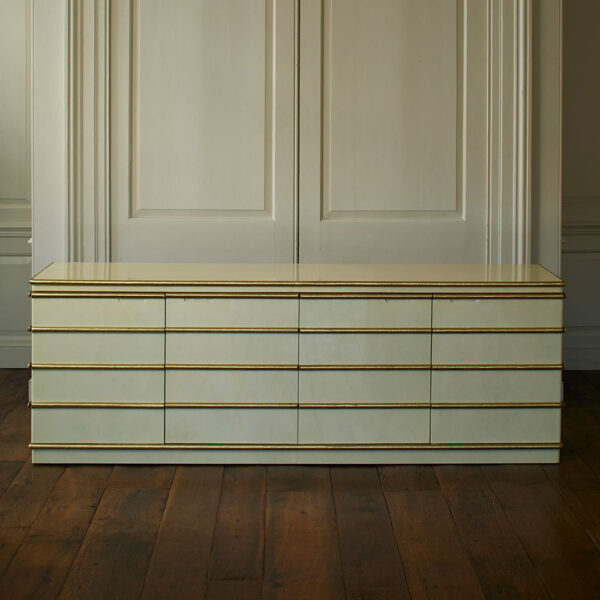 Four self-closing doors conceal two sycamore-lined compartments with one adjustable shelf each.